Storm clouds build on a summer afternoon near San Antonio Texas. 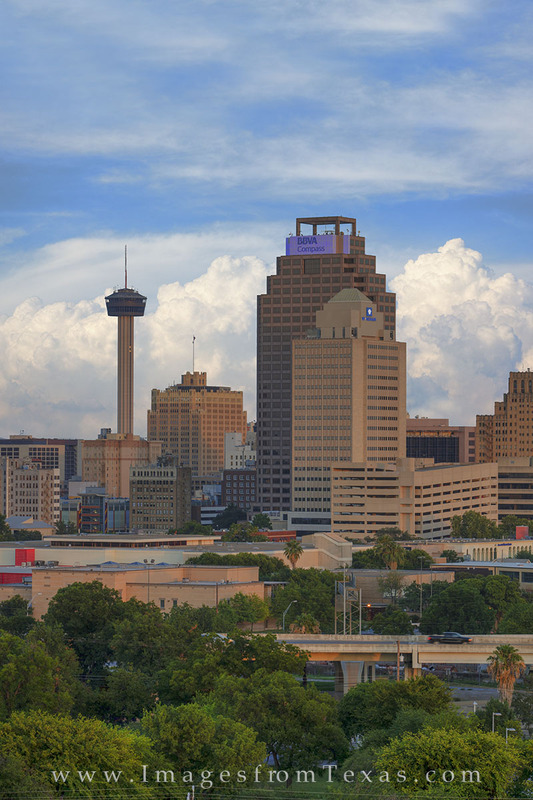 The Tower of the Americas can be seen in this skyline image, along with the Weston Centre. Photo © copyright by Rob Greebon.